We are really pleased to welcome our new employee, Chris Martin to the team at Greasley Electronics as the apprentice. Chris has his own challenges being deaf, and has always wanted to work in the electronics industry so we are so happy to be able to make this happen for him. Life brings it’s daily challenges and my excellent team are working and training Chris to the best of their ability and he is producing some great work and picking things up really quickly. Our long term goal is to learn sign language to help us all communicate effectively. 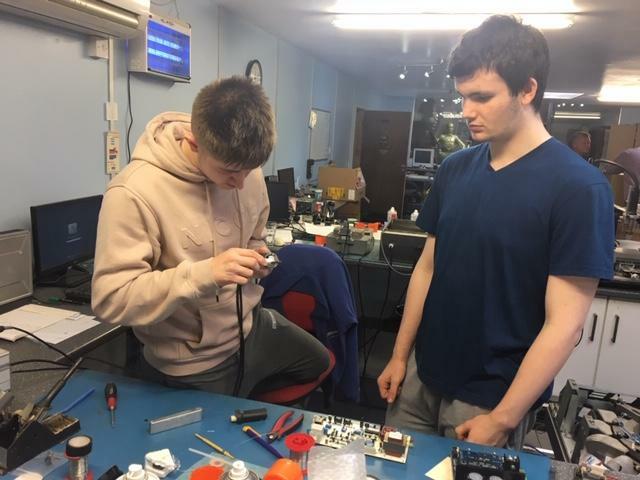 Today, Chris is learning from Stuart who as an experienced electronics engineer been teaching him on how to fix a boiler pcb repair.